R Lazy S Ranch is located in the West’s most scenic area. The Grand Tetons and the Jackson Hole area of Wyoming have been described as one of the most beautiful valleys on earth. 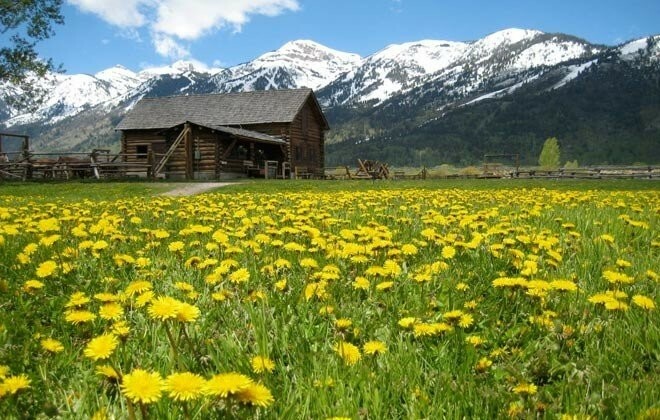 Here at our Jackson Hole dude ranch you will enjoy a truly unforgettable vacation filled with fun and relaxation in the clean, clear mountain air. At the R Lazy S Ranch we specialize in the real meaning of vacation: You can be as active or inactive as you please at our Jackson Hole dude ranch. Go horseback riding for an hour or two, all day, or take an afternoon riding lesson. Fish in America’s top trout streams, take a scenic or whitewater river float trip, or see an authentic Western Rodeo. Browse through the unique art galleries and shops of historic Jackson. Take a side trip to Grand Teton National Park, Yellowstone National Park, or just prop your feet up on the front porch of your cabin. Watch the breeze ripple the graceful aspen trees, shimmering against a backdrop of dark green pines. Life at our Jackson Hole Dude Ranch ranch goes back to simpler times, when we were close to the land and knew how to enjoy it. 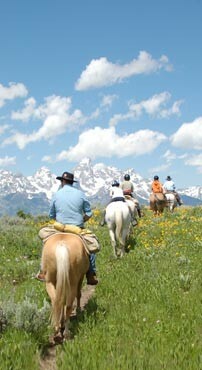 The R Lazy S Ranch provides good, old fashioned hospitality, excellent food, and casual living at its best.